This fall, a Neon Genesis Evangelion bullet train will begin service in Japan. If you thought the outside was something else, wait until you see the inside. This is more than a fancy wrapping. Inside, the train’s first two cars are Evangelion themed. 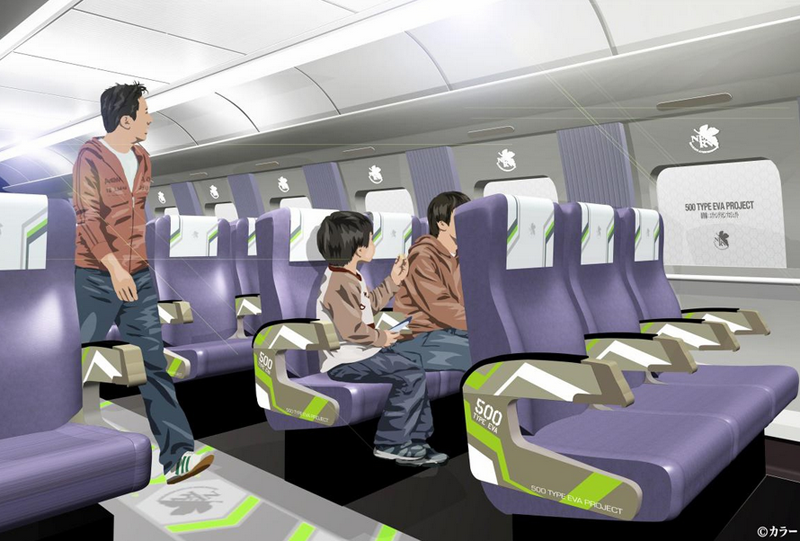 According to Tetsudo Shimbun, there are Evangelion Unit-01 themed seats in the second car (see above concept art). In the first car, there’s an Evangelion display with a diorama, and a cockpit. Which is incredible. The Evangelion bullet train will run between Osaka and Fukuoka until spring 2017.